BCONE sponsors no- or low-cost networking events, roundtables, site tours, and educational seminars. The annual Northeast Sustainable Communities Workshop is BCONE’s premiere annual program, at which BCONE partners with other organizations to explore issues related to the environment and sustainability. BCONE’s Pro Bono Counseling Program, known as BRIGHT, provides no-cost support to municipalities and project stakeholders to assist them through the maze of available financial and remedial brownfield programs within each state. The Pro Bono Program includes a team of brownfield practitioners visiting municipalities and project sites to provide no-cost support and education to facilitate redevelopment at brownfield projects. Last week, the IRS published a second set of proposed regulations relating to investing in Qualified Opportunity Funds. Join Julia Martin and Jean Everett of BOUSQUET HOLSTEIN PLLC and members of BCONE and NYCBP, and Larry Schnapf of Schnapf LLC and member of the BCONE Board of Directors and the NYCBP Advisory Council as they discuss the proposed regulations and applying the new guidance to contaminated sites and brownfields in Qualified Opportunity Zones. BCONE AND NYCBP are trying the webinar format for the first time as a service to our members: we are looking for ways to bring you cutting edge information in real time, without the dedication of a big portion of your day to travel to and from meetings. Let us know if you like the format and if you have suggestions for specific topics that seem well suited for webinars. Once you register, you will be given a code to use for registering on Webex. Approved for 1 Regulatory and 1 Technical Credit for LSRPs; Course Number 2019-023. NJ PEs and PGs in other states: You should be able to apply these credits to those certifications. What is the Event? Short presentation, a great NJ diner breakfast, excellent networking and the opportunity for all attendees to participate in a roundtable discussion with your hot issues. Each of the four breakfasts in the 2019 series has been approved for 1 LSRP Regulatory and 1 LSRP Technical credit; NJ PEs and PGs from other states, you should be able to apply these credits to those certifications. The May breakfast discussion will be led by Elizabeth Limbrick, LSRP, of NJIT and a member of the BCONE Advisory Council. The presentation will be short. There is plenty of time to network and share your opinions on the hot topics of the moment for your practice. BCONE Members and non-members welcome. $40.00 gets BCONE Members a hearty breakfast, 2 Continuing Education credits, and lots of valuable information. The presentation will be short. There is plenty of time to network and share your opinions on the hot topics of the moment for your practice. BCONE Members and non-members welcome. 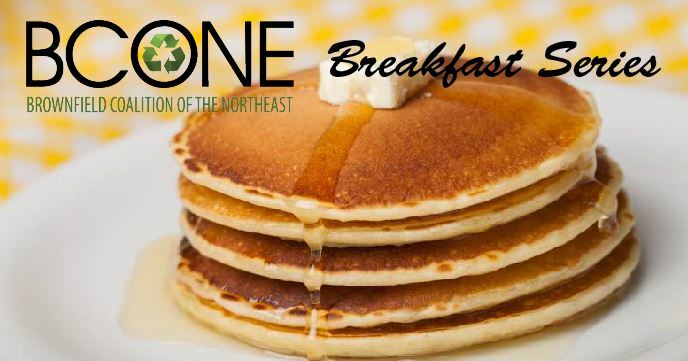 $40.00 gets BCONE Members a hearty breakfast and lots of valuable information. All Members and non-members are invited and encouraged to participate in the discussion. Seating is limited so register now to ensure your spot at this roundtable breakfast. "Get The Dirt on Dirt!" at The New York City Brownfield Partnership’s Special Presentation on The New Rules Changing the Game for Disposal of Excavated Fill in New York and Across State Lines. INCLUDES: Important information, lots of time for questions and answers, and a continental breakfast. This NYCBP panel will provide you with the new playbook for characterizing, transporting, and disposing of fill from your project. The Metro New York City construction market is in full swing, driven by a robust growth in real estate development and capital infrastructure and transportation projects. Off-site disposal of surplus excavated fill not only represents a significant budgetary liability in terms of construction costs, but also a huge environmental liability if not handled correctly. The complex regulatory framework that guides decisions for regulated fill disposal has created a widely misunderstood arena for project stakeholders. And new changes are here. In a dramatic rethinking of the way New York handles solid waste and beneficial use opportunities, NYSDEC has revised the 6 NYCRR Part 360 Solid Waste Regulation for the first time in over 20 years. The new rules provide new tools to efficiently and cheaply reuse excavated fill material on local projects, creating massive opportunities for project owners and contractors. Will include presentation of the current planned updates and changes to the regulations expected to come out in June 2019. Currently, the majority of surplus fill generated in NYC is trucked out-of-state to New Jersey or Pennsylvania for beneficial reuse projects such as brownfield capping or mine reclamation. And while New York rolls out the new Part 360 regulations, these two states have also pushed through significant changes to their own beneficial reuse and characterization rules that will further impact the NYC fill market. WHO SHOULD ATTEND? Construction managers, design teams and sustainability designers as well as anyone tasked with the implementation of infrastructure design, environmental consultants involved in green remediation, capital construction and sustainable options for material reuse. Kevin McCarty, NYCBP Board member and a senior consultant with GEI Consultants, Inc., P.C.. Kevin has dedicated a significant part of his career to the management and reuse of these materials, and he will discuss how changes to the NYS 360 regulations changes are intended to work. 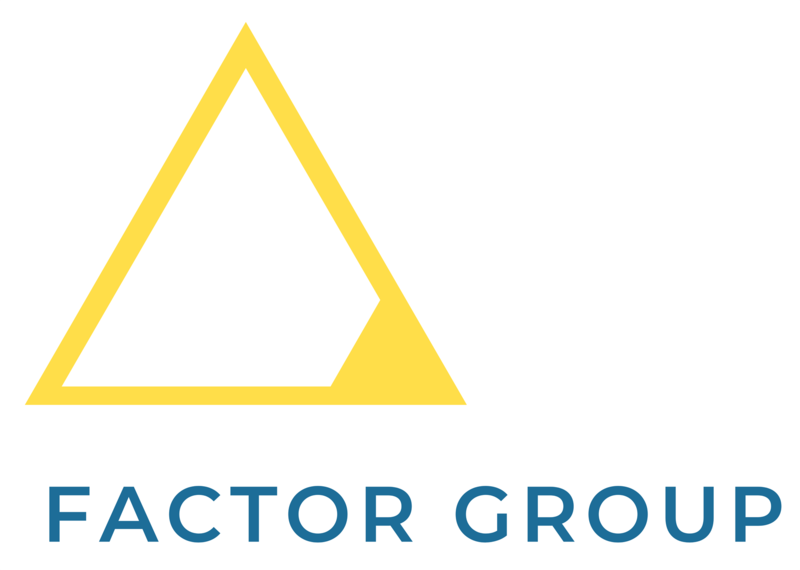 Joel Rogers, NYCBP Advisory Board member and founder of Factor Engineers. Joel has extensive experience managing fill and solid waste, not only in the Metro NYC area, but also in New Jersey and Pennsylvania. Joel will discuss beneficial use of fill material sent across state lines, and related new NJ and PA rules that will impact how things are done in NYC. Joel and Kevin will lead an audience discussion in a comparing and contrasting how the new rules work, and how they would benefit from a coordinated approach. You will directly reach hundreds of workshop attendees and speakers on site - leading professionals from the public and private sector. Your company information will be highlighted in front of industry professionals from the public and private sectors including federal, state and local government as well as Fortune 500 corporations, private companies and nonprofits. You will reach a wide geographic audience, including attendees and speakers from NY, CT, NJ, MA, PA and more. In previous years, participants have come from RI, ME, DC, DE, MD, and WV. You will reach thousands of website visitors on the BCONE website who will see your company logo and information about your firm. Click here to download the prospectus on all sponsorship and marketing opportunities or view them below. Opportunity for dedicated NSCW 2019 Exhibit Space (6' rectangular table with 2 chairs) Note: Space is limited and is first-come-first-serve. For an additional $500, the ability to purchase NSCW 2019 Exhibit Space (6' rectangular table with 2 chairs) Note: Space is limited and is first-come-first-serve. High-Top Sponsors are NOT permitted to set promotional materials on the tables. For an additional $750, the ability to purchase NSCW 2019 Exhibit Space (6' rectangular table with 2 chairs) Note: Space is limited and is first-come-first-serve. *Note: Your company will not receive sponsorship benefits until your sponsorship commitment is paid in full. Now in its 10th year, the Brownfield Coalition of the Northeast (BCONE) will be hosting the Northeast Sustainable Communities Workshop (NSCW) 2019, at the New Jersey Institute of Technology (NJIT) in Newark, New Jersey, on June 4, 2019. The conference brings together experts and attendees to discuss the most current and state of the art approaches and strategies that you probably will not hear anywhere else. The NSCW's goal is to break new ground, offer new ideas, and posit new concepts on the topics of sustainability, collaboration and leverage, contamination, resiliency, brownfields, technology, and their impact on community revitalization. Our past events have been attended by representatives from government, higher education, professional organizations, and laboratories, as well as attorneys, developers, contractors, and consultants. 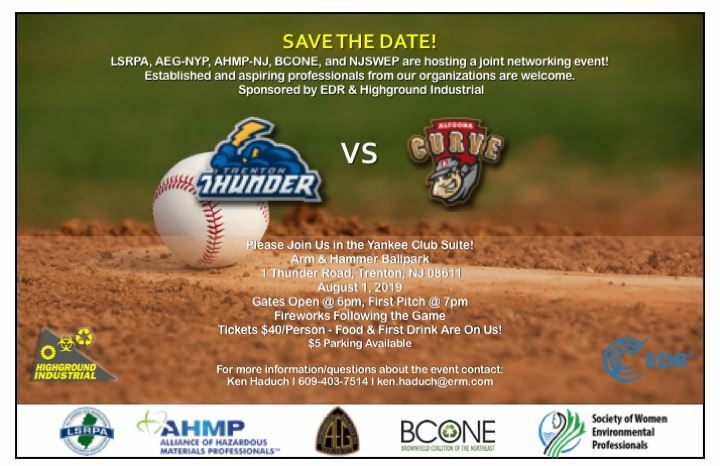 The date for the summer networking event at the Trenton Thunder game is August 1, 2019! More details about registration and sponsorship soon. You’ll have a great time with colleagues from LSRPA, AEG, NJSWEP, and AHMP. 16 Jan 2019 Opportunity Zones: "Unlocking the Potential for Brownfields"
30 Jun 2015 NSCW 2016 is Coming to Newark & You’re Invited to Shape the Conference! 25 Jun 2015 CT Brownfields: Taking it to the Next Level!